Rillettes. If you know what this is, you definitely know your food. If you don’t, think of it as a fancy way to say “potted meat.” See the difference? I’d eat “rillettes.” Potted meat evokes images of SPAM and other industrial horrors. Rillettes are basically a preserved, fatty meat product pulverized enough to be spread on bread. Some are smooth, some coarse. 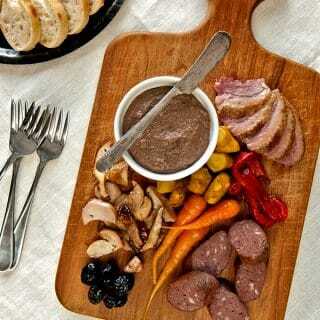 It is a great use for meats that are very tough, yet very flavorful. The French typically make rillettes from pork or duck or goose or rabbit. 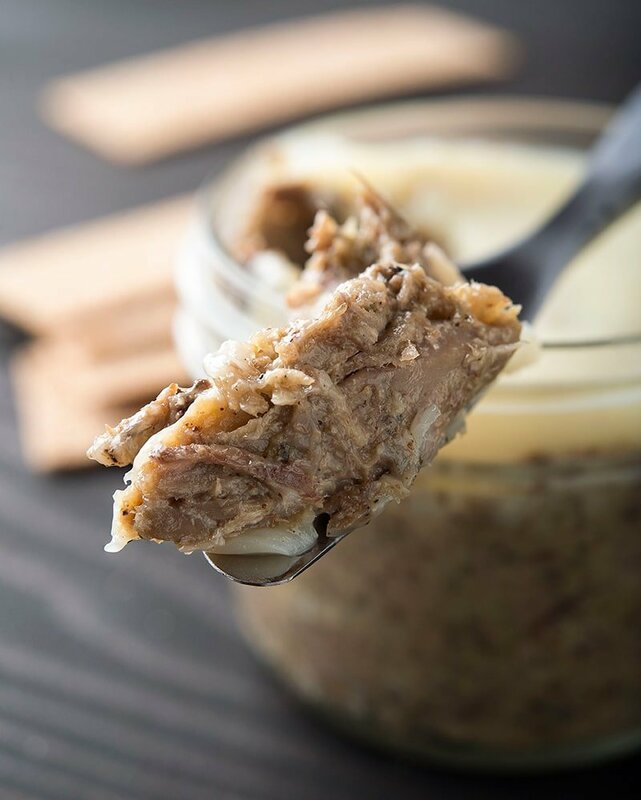 My duck rillettes are unlike anything you will find in a can, or in France. These are made from either duck or goose legs and wings. The fat is wild duck fat, and it is seasoned with Armagnac and rue — yes, rue, that bitter herb possessed with a beguiling aroma. The combination works, and works well. Wild geese are darker and stronger tasting than a domestic geese, but not overly so. There is a definite wild taste to it, which I enjoy very much. The wild duck fat accentuates this; if you wanted to subdue a wild goose’s wildness, you could use butter or fresh rendered lard instead. The Armagnac subs in for Cognac or other brandy because, I feel, Armagnac is better suited to wild game. If I did not use it, I might sub in Maker’s Mark or another quality American whiskey. Finally the rue. Rue’s aroma is musky and thought-provoking: “What is this,” you think…”I want to smell it again and again.” Rue’s flavor is bitter. 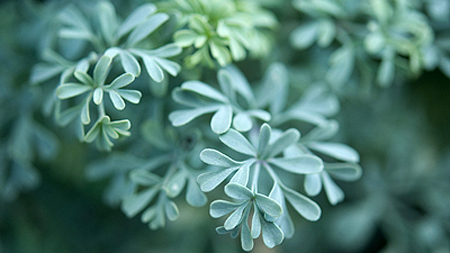 The Romans used it in their cooking, but you will find few modern recipes employing this herb. Using rue here adds to the rillettes’ aroma and cuts into the deep richness of the meat and fat. If you don’t have it, use parsley. Why make rillettes? If you are a hunter, it is a fine use for the meat from legs and wings; you can even do this with legs and wings that have been skinned. And whether you hunt or not, rillettes are a fantastic appetizer or snack, spread over crusty bread and served with pickles. What’s more, rillettes keep forever. Since the meat is presalted, kept from air by the fat (you need to cover the top with a layer of fat for long keeping), and helped by the preserving nature of the alcohol and herbs, you can keep rillettes for many months in the fridge. 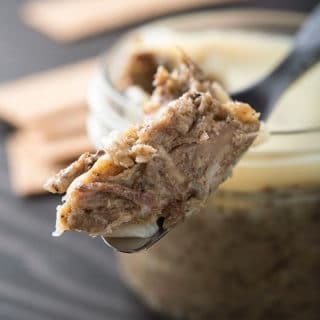 Rillettes are a fancy way of saying “potted meat,” which, when well made, is really nothing like that awful stuff that comes in cans. Rillettes are essentially a rich, fatty, meaty spread that desires nothing more than to be eaten on good bread (or a cracker) with some pickles and a crisp beer, or maybe even some Prosecco or champagne. Why make this? When life gives you lots of duck legs, and you are tired of braising them six ways to Sunday, make rillettes. Once made, they will keep for several months in the fridge; rillettes will be the faithful friend who’s always there for you on those nights after a long day at work when you have no time to cook. And they are a guaranteed hit at parties. Start by mixing the thyme leaves and salt. Massage this mixture into the duck or goose legs, making sure everything is coated well. If there is any left over, pour it into a non-reactive container. Place the salted duck or goose legs in the container, cover and refrigerate for 12-24 hours. The longer you go, the saltier your rillettes will be. I like to salt them down in the evening and cook them around mid-day the following day. When you are ready, rinse off the cure well. Arrange the legs in a large pot and cover with the duck stock; add water or white wine if the level of the liquid does not cover the legs. Add the bay leaves. Cover, then either cook on the stove over low heat or in a 225 degree oven for 4-8 hours. You want the meat to be falling off the bone. Check after about 2 hours to see if you have enough liquid. Uncover the pot in the final hour or two to evaporate the liquid a bit. 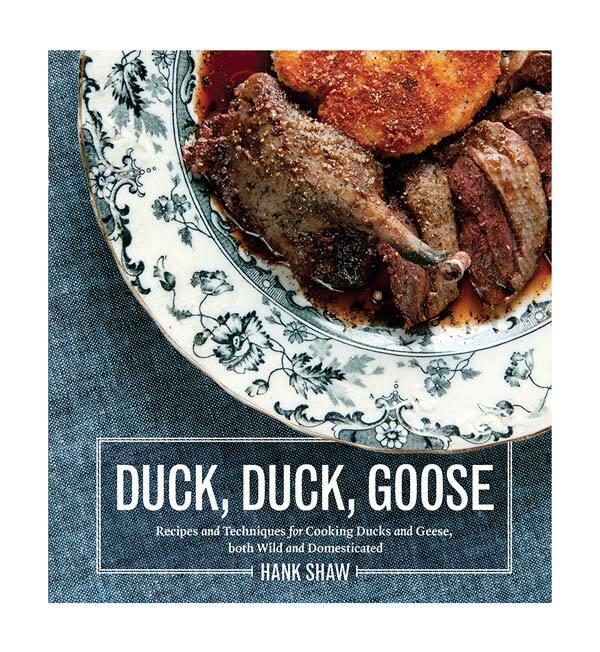 When the meat is falling off the bone, turn off the heat and let the duck or goose legs cool. Ideally, you refrigerate everything to solidify any fat (you can use it later). When it is cool, pull off the skin and discard, then shred the meat and place in a large bowl. Taste the remaining stock to see how salty it is. You will need a little for the rillettes, but you want to know how much to add — without oversalting the rillettes. Add a little of the stock to the rillettes and beat together with a stout wooden spoon until the liquid is incorporated. Add 2 tablespoons of the duck fat and beat it in. Keep adding duck fat until the mixture becomes creamy. Do this little by little. When a spoonful of the rillettes tastes creamy, not dry-ish, add 2 tablespoons Armagnac and half the rue. Beat it in well. Taste it: You should be able to taste both the Armagnac and the rue, but neither should be overpowering. If you want, add the remainder of the liquor and herbs and beat them in well. Press the rillettes into ramekins, or just a non-reactive container that works. Tupperware is OK, and a butter crock is ideal. Top with about 1/4 inch of duck fat. Cover with a lid or foil and store in the fridge. It is best to let this ripen for a week before serving, but it is perfectly fine eaten straight away. It’ll keep for at least two months, and if there are no air pockets and it is covered in fat, the rillettes will last up to 6 months. You can find all sorts of recipes for cured and smoked meats and fish right here on Hunter Angler Gardener Cook! As I have it in France, I mix a 7 oz. container of duck rillettes with a can of white beans (they don’t have to be the exact white beans used in France), and simmer in a saucepan to get warm and soften and flavor the beans. It makes two (rich) servings. On the side, like in France, I have a salad of haricots vertes (French string beans), a hearty red wine, and (optionally) croissants or French dinner rolls. I am curious if this can be done with pheasant? I have a couple of pounds of skinless legs I would like to do something with. Made Rillettes from my September Honker legs and wings for a Christmas party this year. People just about licked the plate clean. Used a Rye whiskey for the alcohol. What a great recipe. I have been using your recipes for the pot luck, and people always ask what I am fixing.